Picture & GIF support: get the "Add pictures" purchase! 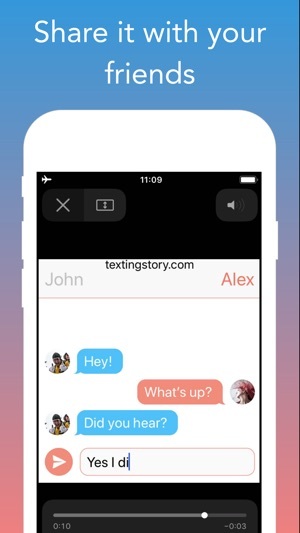 TextingStory allows you to write conversations just like any messaging app, except you can switch side by swiping left or right over the message area. You can also press the characters' names. Take all the time you need to write your conversations. The videos are automatically accelerated for a consistently fast-paced result! 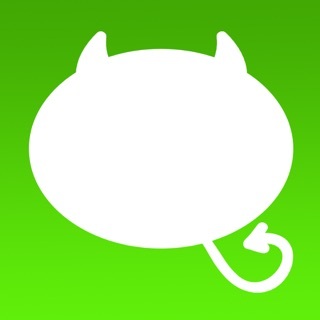 This is a simple app with endless possibilities. 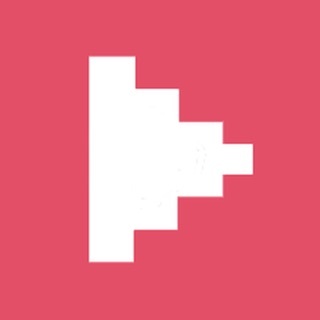 Check out our VideoTyper app also if you enjoy the typing effect! Q: Nothing is happening when I press on the "create video" button, what can I do? A: Restart the app and make a long press on the "create video" button, then "update video"
Q: Can I save the videos as GIFs? A: Yes, make a long press on the "create video" button, and choose create GIF. 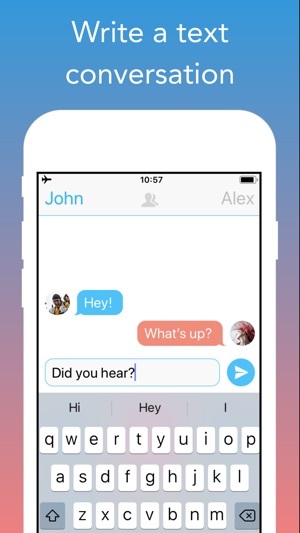 Q: How do I switch between characters in a group chat? 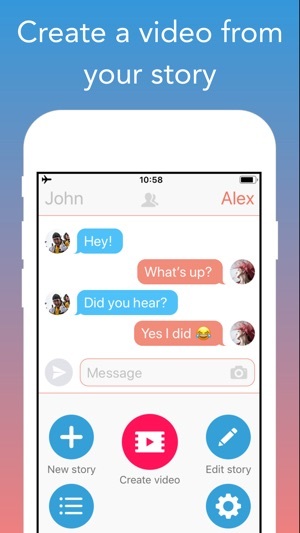 A: You need to tap the profile icon above the messages to add more names. Once you've edited the names you can tap the current name to switch between names! A: You need to go into the settings screen then press on the "purchase" button to get to the purchase screen. From there you can get the "Add pictures" in-app purchase. It unlocks character pictures as well as the camera icon in the typing area and the ability to paste pictures in the typing area. Q: I don't see the typing area in the videos, why? A: Check if "Show typing" is ON in the settings. Thanks for your feedback and ideas! I can't make everything free unfortunately otherwise I would have to put ads in the app and it's a different kind of annoying..